Known as Florida's "tropical island getaway," Sanibel Island is fringed with mangrove trees, shallow bays, and white sand beaches. What makes this island particularly unique is the carefully planned maintenance of its wilderness area. In fact, about 75 percent of the island is preserved in its natural state. Although you'll find many luxurious accommodations and opportunities for fine dining here, you won't find the usual chain stores, franchises, or high-rises. 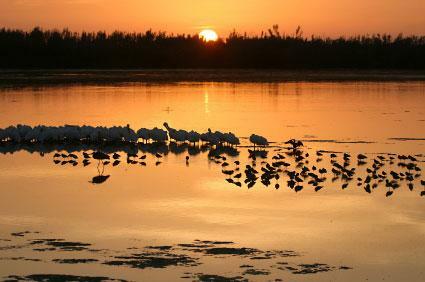 Sanibel offers a refreshing chance to get away from city life and relax. The Bailey-Matthews Shell Museum houses an amazing collection of shells harvested from the beaches of Sanibel, nearby Captiva, and other areas. The museum's goal is to educate the public about shells, the mollusks that create them, and their importance to the environment. Among their exhibits is a collection of fossil shells. Each fossil is paired with what scientists believe are its closest living relatives. The museum is located at 3075 Sanibel-Captiva Road, and it's open daily from 10:00 a.m. to 5:00 p.m., except on major holidays. 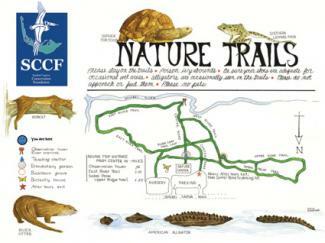 The Sanibel-Captiva Conservation Foundation (SCCF) is a nature center dedicated to protecting and preserving the natural flora and fauna of the island area, as well as educating the public about these rich, natural resources. Highlights of the center include a butterfly house, a touch tank for the children, displays about the ecology of the area's wetlands, and guided nature tours along the centers trails. There's also a Nature Shop where visitor can by unique items as well as educational books. The SCCF is located at 3333 Sanibel-Captiva Road. It's open from 8:30 a.m. tp 4:00 p.m. from October through May, and from 8:30 a.m. to 3:00 p.m. from June through September. The landmark Sanibel Lighthouse has been around for over 120 years, and although it may not be as picturesque as the famous St. Augustine Lighthouse on Florida's mainland, visitors still like to take photos of it. The lighthouse itself is not open to the public, but you can explore the beautiful beach and the nearby fishing pier. The lighthouse is located at the far eastern end of Periwinkle Way. The J.N. 'Ding' Darling National Wildlife Refuge is a 5,220-acre pristine wildlife habitat that's home to a great variety of birds, amphibians, and reptiles. The most popular way to view wildlife on the refuge is by way of Wildlife Drive, a five-mile road that leads you past wetlands and through the heart of the mangrove forest. Along this route, you can stop at the Bird Observation Tower to check out the great numbers of wading birds and the wide variety of bird species present. You can also hike into the refuge on short trails. The Cross Dike Trail has wetlands on both sides, and the Shell Mound Trail encircles a Calusa Indian Shell Mound. The refuge is located at 1 Wildlife Drive. Hours of operation vary, but Wildlife Drive is always closed on Fridays. 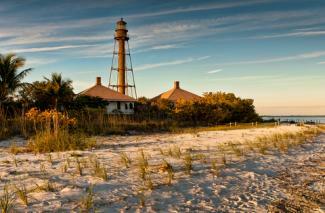 Sanibel Island is one of the best shelling destinations around. Along the island's south-facing shores, the currents of the Gulf of Mexico deposit vast numbers of shells with each new tide. The ritual of searching for these colorful shells (about 400 species) is known as "the Sanibel Stoop." Casa Ybel Resort: This is a full-service resort that has its own bird sanctuary. It's a great place for vacationers whether they're seeking romance or family fun. 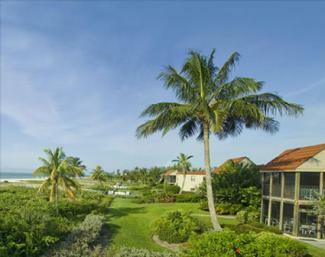 Sundial Resort on Sanibel Island: The Sundial offers golf, tennis, and a variety of beach and water activities. Sanibel Moorings Condo Suites: This resort offers one to two bedroom condos on the east end of the island, and it's only a few steps from the beach. If you are lucky, you will get a room that overlooks the Gulf of Mexico. Lighthouse Resort and Club: As well as tennis courts and trails, the Lighthouse resort offers 1,800-square foot apartments with views of the Gulf. 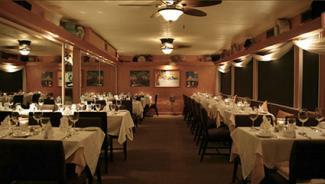 There's no shortage of wonderful restaurants on Sanibel. Consider visiting one of these fine establishments. Mad Hatter Restaurant: According to Trip Advisor, the Mad Hatter restaurant is the second best restaurant on the island. It's actually the best if you take into consideration that the first one is a coffee shop. It has a slightly inconspicuous past as a converted bungalow, but it is the perfect place to watch the sunset as you dine on dishes like duck or big eye tuna. George and Wendy's Sanibel Seafood Grille: Using local fresh ingredients this award winning restaurant serves seafood and burgers in a room that could double as an art gallery. On Sundays they serve a jazz brunch. On other days they are open for lunch, dinner and a late night menu. The Island Cow: At the Island Cow, they serve breakfast, lunch and dinner, but most people come here for their breakfast. With dishes like the seafood omelet and steak and eggs, you can see why they're so popular. Traditions on the Beach: This restaurant offers award-winning Italian cuisine, a beach front location, and nightly music and dance shows. Bicycling is one of the very best ways to explore Sanibel Island, and bike rentals are plentiful. The island is virtually flat, and the 20 miles of paved recreational trails are very inviting indeed. Most of the paths follow along the major roads, which makes it very easy to access the main points of interest. It's even possible to bike the entire length of the island using the paths along Periwinkle Way and Sanibel-Captiva Road, which run from the east point's Sanibel Lighthouse to the west end. Interactive bike trail maps are available at SanibelTrails.com. The refuge's Wildlife Drive and Bailey Tract also offer worthwhile bike trips. The Bailey Tract in particular offers a network of short trails through the freshwater wetlands and along the Sanibel River. Sanibel Island is easily accessible by air via Southwest Florida International Airport, just outside of Fort Myers. Non-stop service is available to dozens of US cities, and connecting service is offered to many more. From Southwest Florida International Airport, it's about a 40 minute drive. Just follow Summerlin Road, and cross the Sanibel Causeway onto the island. You can also reach Sanibel by car from I-75. Use the Fort Myers exit. As one of America's favorite beach vacation destinations, Sanibel is equipped with great restaurants, luxury accommodations and a range of activities designed to make the most of its stunning beaches and wildlife. If you plan your visit ahead of time and book everything well in advance, you see exactly why Travel + Leisure ranked Sanibel one of the top ten islands in the continental US.